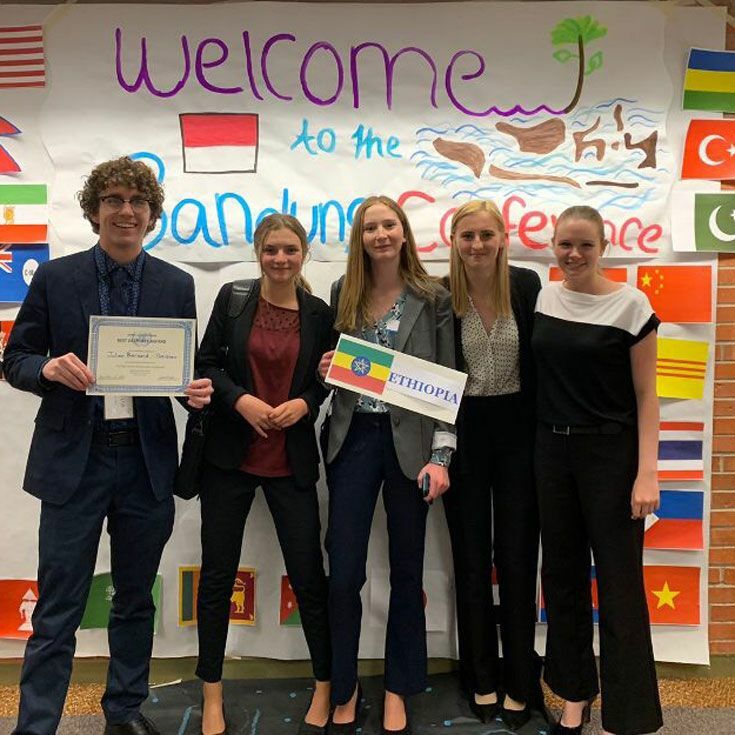 Six Bosque Model UN (MUN) delegates participated in a simulation of the famous Bandung Decolonization Conference of 1955. The simulation was hosted by Sandia High School on Saturday, March 30. Participants included Mikaela ’19, Julian ’20, Anna ’22, Constance ’22, Josie ’22, and Miel ’22. Julian represented the Islamic Republic of Pakistan, an ancient civilization that won its independence in 1947.